As the New Stonehenge interpretation centre nears completion at a cost of £27 million *, I thought I should go a a little more detail about my understanding of the peculiar circumstances surrounding this unique building. In a previous series of articles I have explained the disposition of the site’s postholes in terms of the overall layout of other Class Ei buildings [1, 2]. However, the actual construction sequence offers an explanation why the archaeology of this most intensively studied site has proved so confusing. I have explained that these concentric rings of posts are buildings, an explanation based mostly on measurement; I have offered by way of explanation detailed scaled drawings and defined how the building was assembled in terms of materials and engineering principles, accounting for the special arrangement of postholes as well their individual depth and diameter. All of which can be deduced from the existing data set of these similar prehistoric structures. This understanding of large posthole structures has arisen from a study of postholes, and its application to Stonehenge is entirely coincidental.In the previous articles, apart from a more detailed consideration of Woodhenge, I have concentrated on the generalities this type of building, but each has its own characteristics as befits high status architecture. This of course is particularly true of Stonehenge, in that it has stone components mixed with a more traditional timber roof with posts. It is also generally simpler and perhaps more massive construction than others Ei buildings. However, there are two important aspects of the plan, which deserve further explanation. Both the Y holes and The Z holes are not round, but elongated, which suggests replacement of the posts, in addition, there is an earlier circle of small postholes below the Q and R Holes. 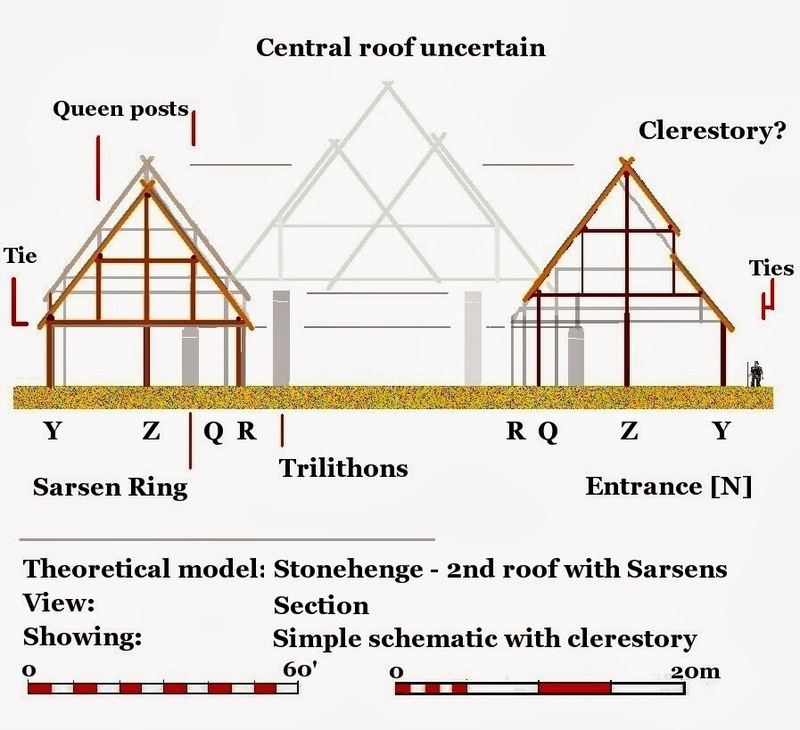 This suggests that the building was rebuilt to accommodate the Sarsen stone components, which by necessity would be constructed before the rebuilt timber roof. This in part explains the long timescale of use as well as the stratigraphy which places the sarsens before the Q and R holes, and why stone chips occur in a wide variety of contexts. The sarsens components are thus an adaption of an existing building, rebuilt on a very similar foot print, which is a more logical arrangement. While they are essentially ‘levelled’ their articulation with the timber structure would be more complex, but is evidenced by the small sockets on upper surfaces of the lintels. The extent to which this rebuilding destroyed posthole evidence is probably prejudicial to detailed study of the earlier structure. 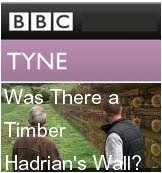 It follows that the building contained the Bluestones, which one might suppose were removed during rebuilding. The Neolithic peoples, who built the Stone Circles, seemed to have lived in Longhouses and housed the remains of their dead in similar shaped monuments, but by the Early Bronze Age many people are living in round houses and burying their dead in round barrows. Class Ei buildings are large ‘Roundhouse’, but it is important not to conflate the terms, these are Annular roofs, with or without a central cone. They are top end architecture; the 150’, or three tree lengths, represent the limit of Early Bronze Age and subsequent architecture using this form of roof. These plans represent a technology used to create the larger covered spaces, which in other cultures of this period are clearly represented by palaces, temples, and ‘public’ buildings. We can build models of the Stonehenge roof and understand its form, and even speculate about its appearance; as a ‘temple’, we can imagine it would be the scene of the sort of things that went on a temples, singing, praying, and sacrificing. In terms of scale and nature of the engineering is entirely comparable with that practiced in the Mediterranean, an area with links in terms of trade or exchange of high value goods in this period. 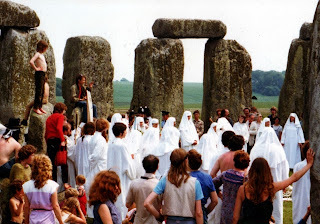 Stonehenge requires no more than a boat load of skilled craftsmen, even slaves, and some cooperative local builders; it is a practice well known in the ancient world, and particularly applicable to architecture where the product is not portable. The stones have carried the weight of expectations, prejudices, beliefs, and projections for so long that a utilitarian explanation that the Sarsen components are, just what they appear to be, a load baring wall and stanchions, is clearly out of tune with existing narratives. Where is the mystery? 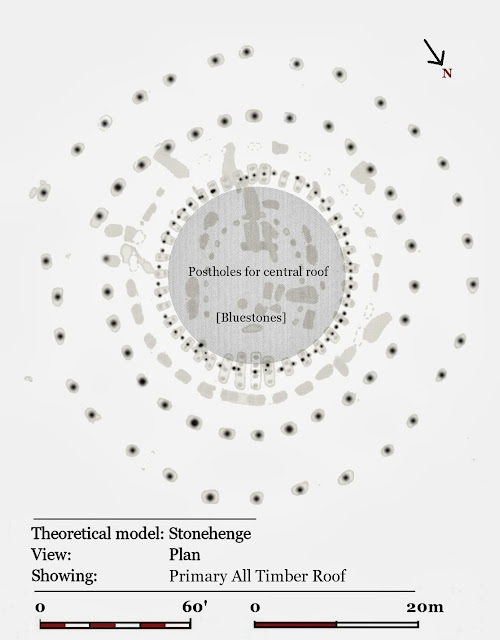 That Stonehenge’s postholes and other features can be understood rationally, in terms of the ‘processes’ of building construction, rather than being the product or expression of belief, is at odds with the postprocessual aspects of the current academic approach. However, while it does not preclude that the stones embodied or represented something spiritual, cosmic, or astrologically profound, it is not something that is implicit in the dataset, which cannot rationally support ideas about its own perception or cosmology. 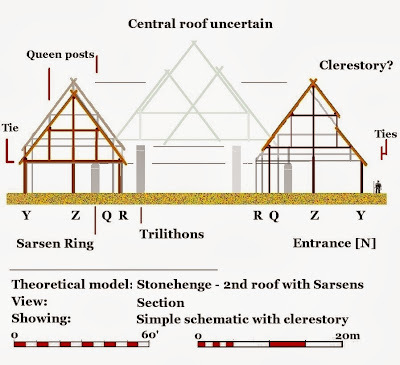 To summarise; It is my understanding that the initial large timber Class Ei building represented by the Y, Z and other postholes, was dismantled and rebuilt incorporating the Sarsen components and Q and R holes. Since much of ground plan remained the same, this replacement of the posts may have been because the originals had decayed with age.It is my belief that the stonework of second phase involved foreign craftsmen, which can be seen as part of a broader picture of cultural contacts and trade with the Mediterranean, fostered by the strategic position of Southern England relative to the supply of copper and particularly tin. Both phases of the building would have housed the Bluestones, however, what else was there and quite what this signifies is not apparent in the data. * NB. So far, this research is privately funded and has cost the tax payer £0.00, although for £ 27 million I could build a fully scale replica and have it gold plated. I always look forward to your contrarian views on post hole engineering, while not being qualified to offer an educated opinion. 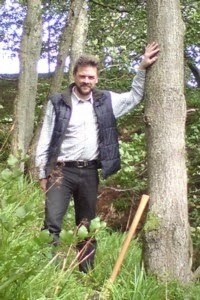 “The faith-based New Archaeology is all very well, but knowing how many Angels can dance on the head of a pin is not real substitute for a practical knowledge of dress making”. Incidentally, I have recently co-authored a paper on Native American architecture in Ohio with one of your compatriots; also I am working on a model of large building in Kentucky, and successfully recovered my dining chairs with pseudo-patchwork of traditional Indian style fabrics with elephants. I did once think (like yourself) that Stonehenge Sarsens were part of a multi-tiered construction like Woodhenge - but another close look at the evidence changed my mind. 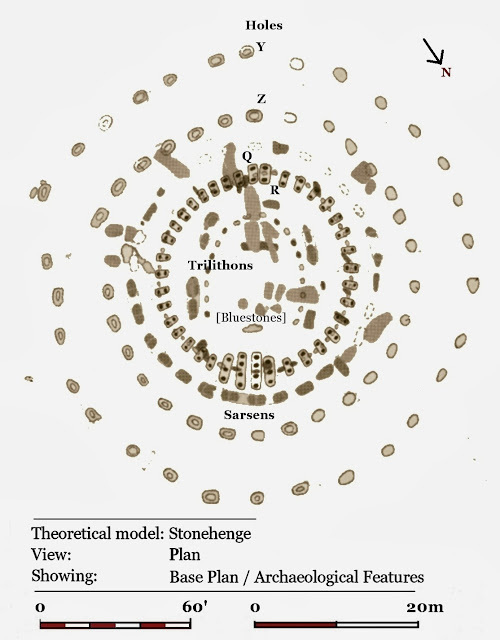 Q & R stones have yet to be shown as complete circle (no scorch marks, or ground-radar to date) and Stone 13 excavation (on the main circle) and existing Stone 11 with this years scorch marks on missing stones 17 - 20 (same size as the Y & Z holes/scorch marks) suggesting that these are smaller Sarsen stones were used and therefore no lintels existed on the SW quadrant. Unless we have a 'half buiding' then I can only concluded it was a monument. But (as always) still open to suggestions. 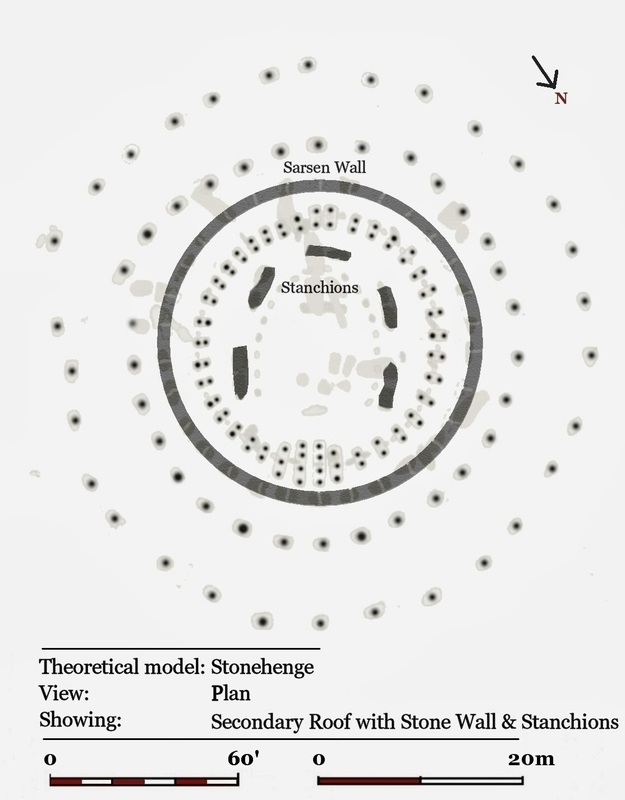 Hi Robert, interesting points, and the main reason I have left Stonehenge to last, and equally don't discuss Durrington, without a good complete plan - I can't accurately model the structure. My argument has always been based on this being a class of buildings [ Ei] as originally proposed by Prof Darvill. 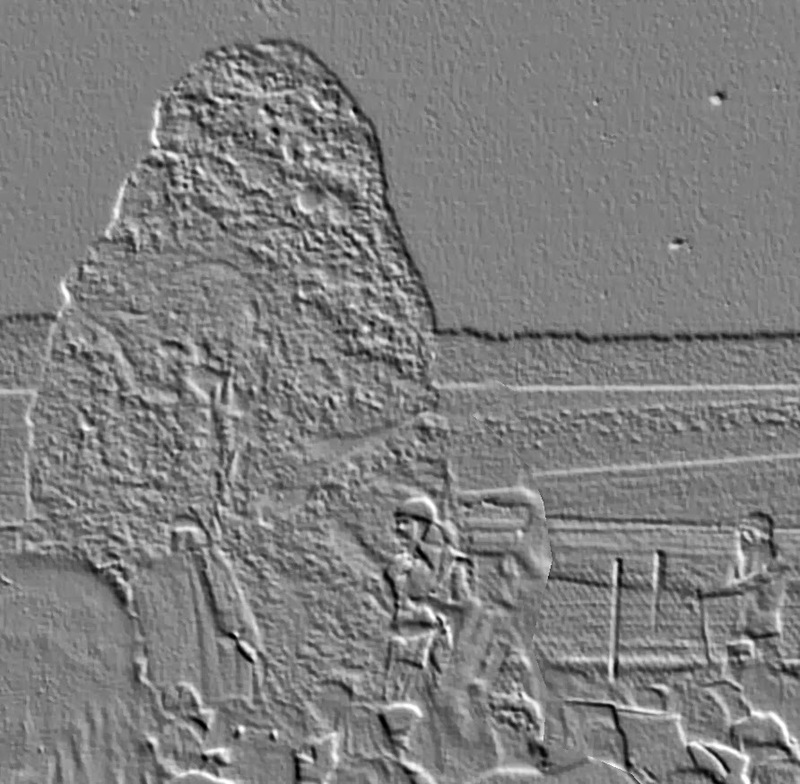 What is interesting for me is that there is evidence of a pre-Sarsen building on the same basic plan, ie. it was an adaption. 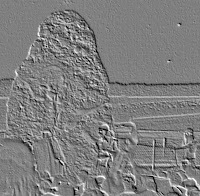 I am modeling the outer roof, it is massive and 'simple' - certainly compared with Woodhenge. Having the sarsens gives an real starting point, which is great, sadly we are talking about Stonehenge - possibly the most emotive site in the country - there is such a weight of expectation and prejudice on those stones, there is no room for a roof.